Senvion SE, a wholly owned subsidiary of the Suzlon Group, the world’s fifth-largest wind turbine manufacturer, has concluded a turnkey contract with Âncora Wind – Energia Eólica, S.A. for the delivery and installation of 84 wind turbines with a total rated power of 171.6 megawatts (MW) for five wind farms in Portugal. Project sponsors are Galp Energia SGPS, S.A., Martifer SGPS. S.A. and Ferrostaal GmbH. The project is called Âncora and forms part of a tender from the Portuguese government for a total of 400 MW from 2006. Moimenta I and II wind farms each will have 21 Senvion MM92 turbines. 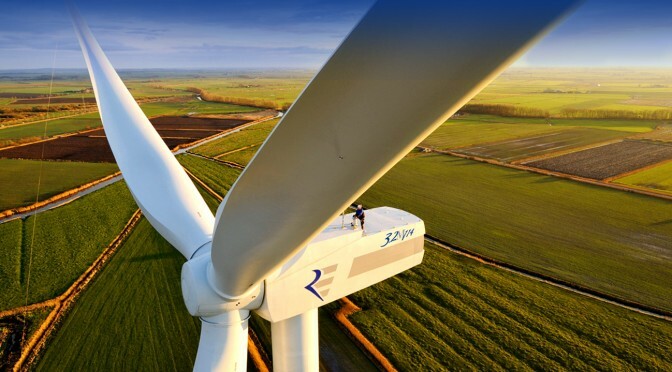 Each turbine has a rated power of 2.05 MW, a hub height of 100 metres and a rotor diameter of 92.5 metres.11 Senvion MM92 turbines, each one with a rated power of 2.05 MW, a hub height of 80 metres and a rotor diameter of 92.5 metres, will be installed in the Picos Vale do Chão wind farm. 19 Senvion MM92 turbines, each one with a rated power of 2.05 MW, a hub height of 80 metres and a rotor diameter of 92.5 metres, will be installed in the Três Marcos wind farm. 12 Senvion MM100 turbines, each one with a rated power of 2 MW, a hub height of 100 metres and a rotor diameter of 100 metres, are destined for the Sernancelhe wind farm. Construction of the Moimenta I and II and the Picos Vale do Chão wind farms is scheduled to start in early 2015. Construction of the Sernancelhe and Três Marcos wind farms will then start in spring and summer of 2015. Installation of the turbines will start in summer 2015. Senvion also signed 20 years full service contracts for the maintenance of the wind farms.